Hi, friends! 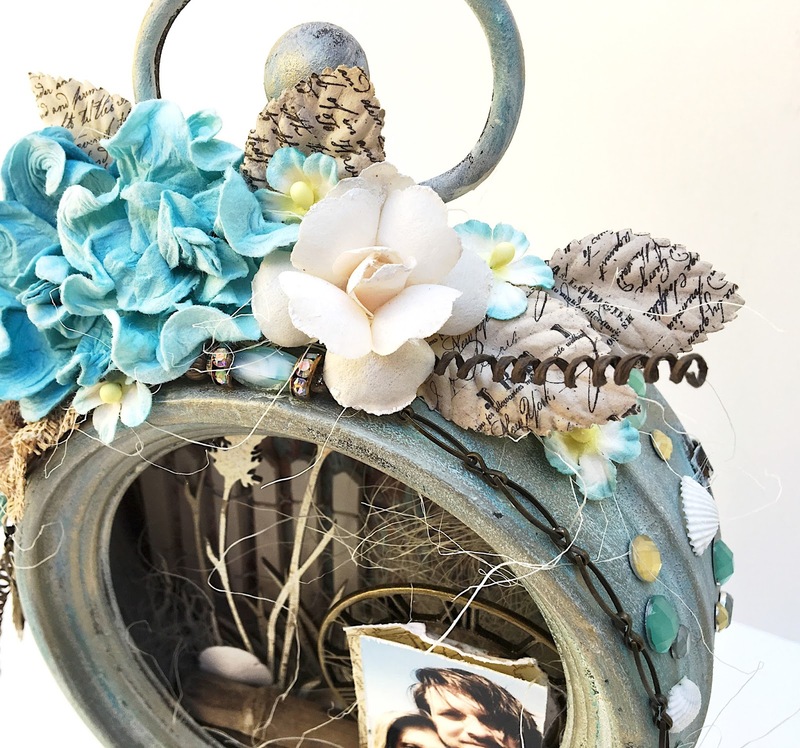 I've made this altered clock to add to my beach gallery wall table. The clock is from Prima Marketing. 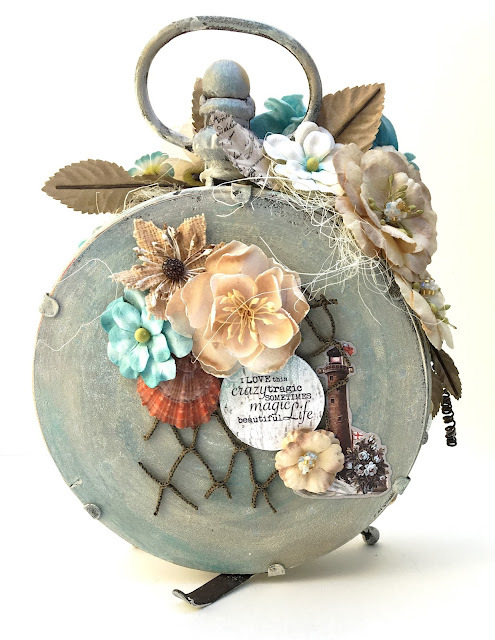 I used chalk paint and Prima pastels for a faux patina finish on the outside of the clock. Here's a closeup of the "shadow box" part of the clock. I used paper from the Prima French Riviera collection for the background. The chipboard vines are from Dusty Attic. I added some Stampendous Frantage embossing powder to them in "Aged Ivory." 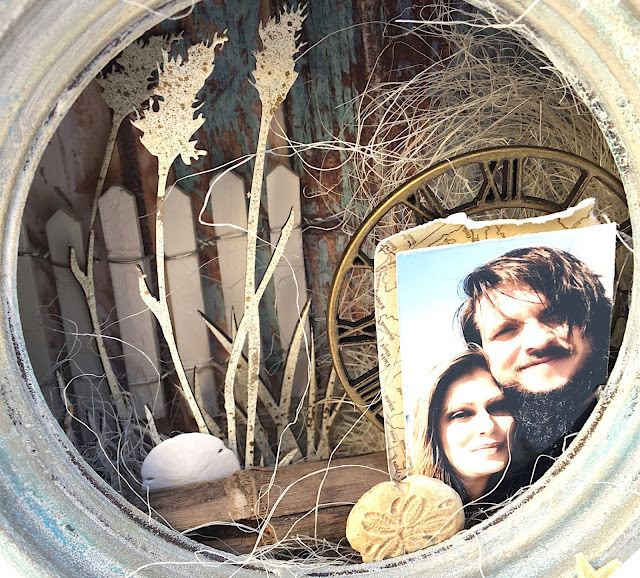 I also added a fence from Darice, sisal, a couple of sand dollars, and a piece of driftwood that I picked up from our walk on the beach the day the picture was taken on Coronado Beach last summer. I matted the photo with a Prima Mechanicals clock and a piece of map paper, also from the French Riviera line. 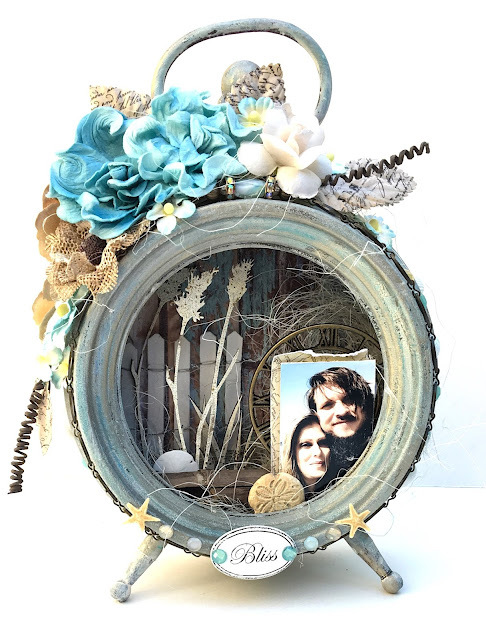 Thanks for taking a look at my altered clock!